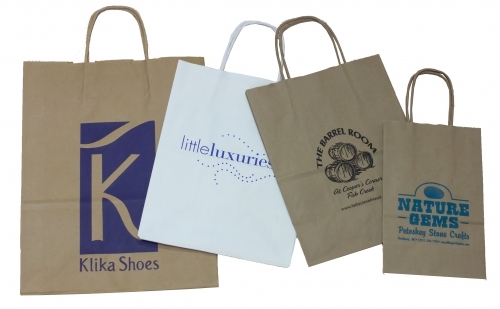 Paper shopping bags are available in white and natural (Kraft) and can be ordered in many popular sizes. (See size and color availability chart below.) Shoppers appreciate the strength and durability of the built-in twisted handles; businesses appreciate the ability to effectively promote their brand with every sale. 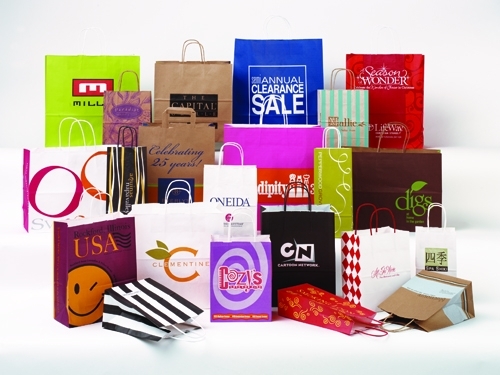 ‘In stock’ bags can be customized by printing or foil stamping your logo, colors and message. 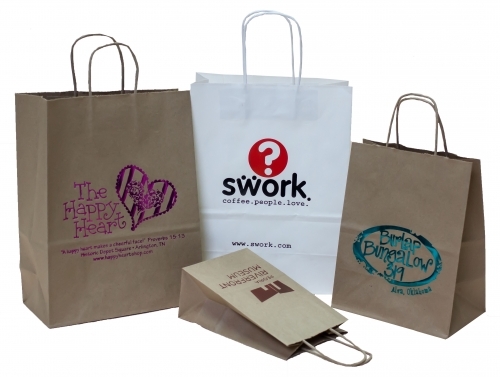 Post-printing allows you to brand and customize the look of the shopping bag at a relatively low cost. Because post-printed bags start with a ‘stock’ product, you can order low quantities, especially compared to custom bags. 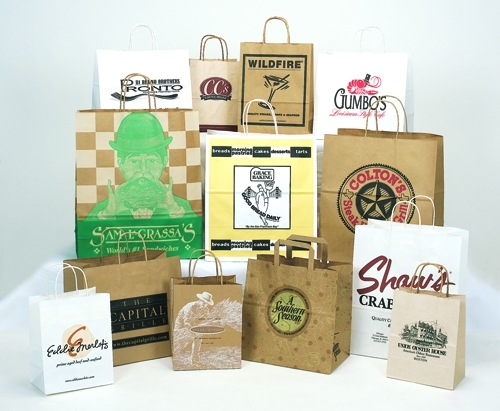 For the ultimate in branded packaging, consider custom-printed shopping bags for your business. The most creative and flexible choice, custom-printed paper bags allow almost unlimited control over the look, feel and finish of the bag. Colors, backgrounds and images can ‘bleed’ or extend beyond the edge of the bag because the paper is printed with your design before being cut, folded and assembled. We’re here to help. Please contact us for more information or allow us to quote on your shopping bags.